One of the major elements of the IFMCA Young Reviewers Mentorship Programme is to offer them an opportunity to bring their work to a larger audience; as such, IFMCA member Craig Lysy has interviewed each of the four members of the Class of 2018 about their background, their philosophy towards films music, and their plans for their future work as a film music journalist. The first interview is with Bennett Dobbins. 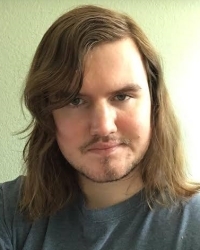 Bennett is the owner and chief reviewer of Soundtrack Universe; he is 25 years old, and resides in Austin, Texas. He has an associates degree in Liberal Arts, and started his site in October 2009. CL: So Bennett, what brought you to film score art, and why does it matter to you? BD: My earliest exposure to film music went hand-in-hand with the films my parents would show me as a child. Fortunately they had excellent taste in movies, so I remember hearing the wonderful scores to How the West Was Won, The Quiet Man, Godzilla, The 7th Voyage of Sinbad, An American Tail: Fievel Goes West, among many others, and instantly falling in love. Eventually I discovered that one could purchase the music from these films on their own, outside of the movie, which only fueled my obsession with the genre. I suppose for myself film scores reach a certain level of emotional resonance that few other genres can attain. Even when divorced from the film they’re meant to accompany, one can still enjoy them as their own entity. BD: October 7th, 2009 marked the beginning of my film score review site, which began as both a school project and as a means to share my opinions on various albums while giving my parents a break from my constant chatter. BD: I run an online blog through Blogger that features an assortment of reviews for both new and older releases, as well as occasional articles under The Mixing Room banner. BD: My reviewing process begins with selecting a score to cover, then doing research (reading the film synopsis, reading other reviews for thematic clarification if needed) while listening to the chosen score. If available/if interested enough, I try to watch the corresponding film to the score I’m covering, though this is usually not feasible, especially for new releases. The writing process typically takes a few days; with the posting of the review being done a day after the final draft is written. For me, a good film score should carry its own distinct identity, feature a theme (preferably several) that anchors the work while accurately reflecting the tone/emotions of the story, show an understanding of storytelling through music and finally be memorable and contain emotional resonance. Orchestral prowess and the use of diverse orchestration techniques are added bonuses that should be considered as well, separating the good from the great. BD: I strive to deliver entertaining, informative reviews with a “common man” approach to discussing the art form (i.e. keeping the musical jargon to a minimum) while still remaining true to my own voice and opinions on the subject matter. With an array of both older titles and new releases covered, my wish is that everyone who visits Soundtrack-Universe will find something of interest to read, and ideally, discover something new about an old favorite or stumble upon a hidden classic. You can read Bennett’s reviews at https://soundtrack-universe.blogspot.com.